The perfect participle is made by adding having before a past participle. The perfect participle represents a completed action in the past, so it often substitutes a past tense verb. The infinitive is another form of non-finite verb. It may be a bare infinitive or a to infinitive. 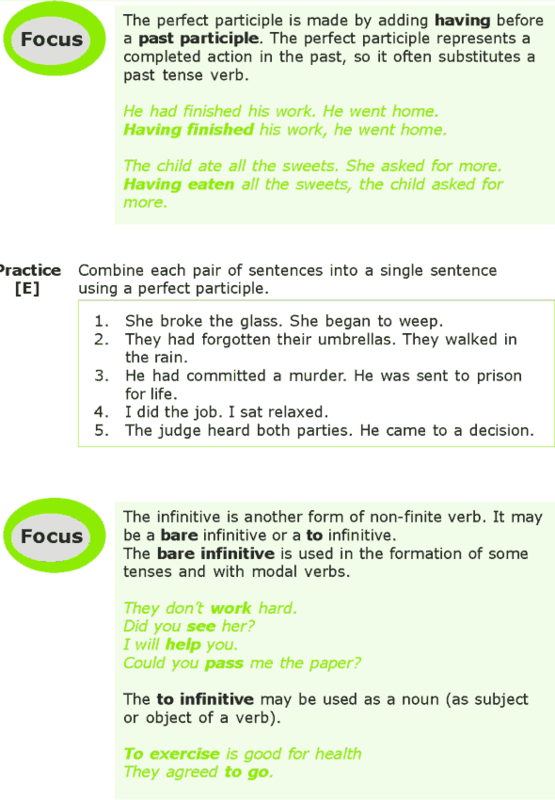 The bare infinitive is used in the formation of some tenses and with modal verbs. 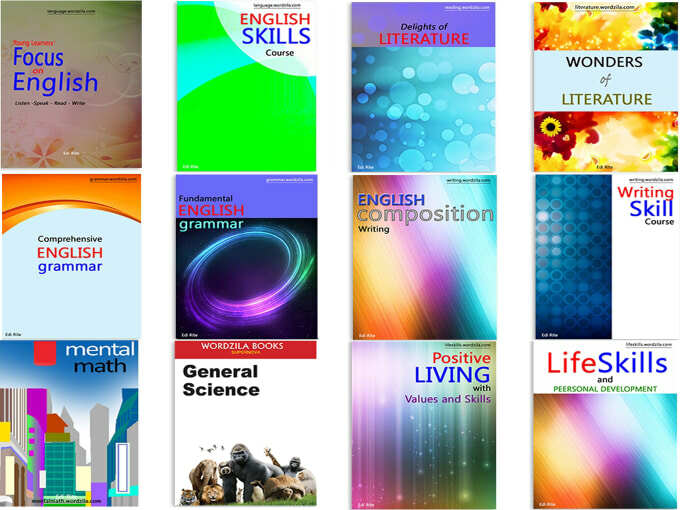 The to infinitive may be used as a noun (as subject or object of a verb).